BIMB succeed break through symmetrical triangle ? 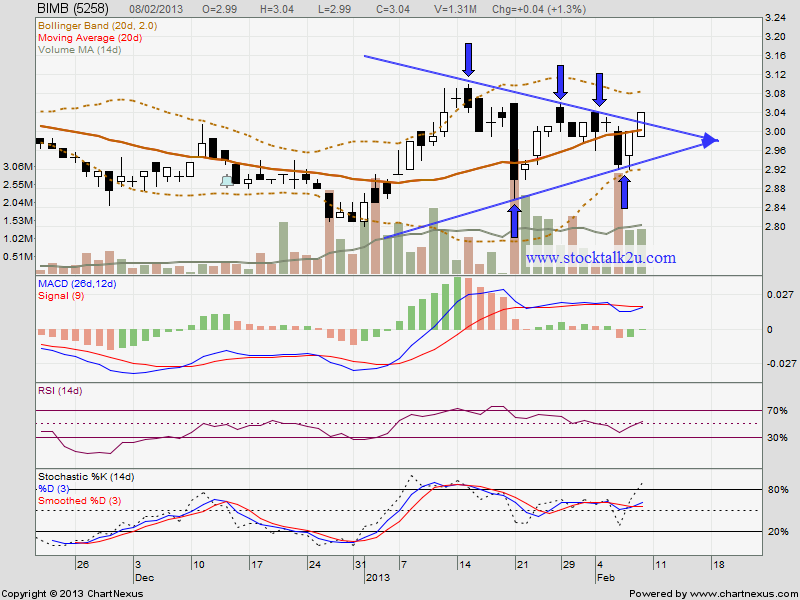 Immediate support is MA20 / MA100 level, which is RM3.00 level. 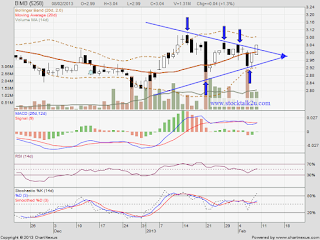 Subsequent support is MA50 level, which is RM2.94 level.